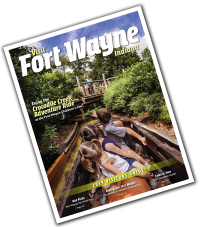 Find Kids Activities in Fort Wayne this Summer! 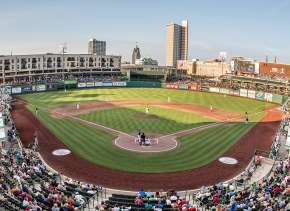 Posted on June 29, 2012 at 5:13:39 am by Renee M.
There are so many great family attractions in Fort Wayne, such as the Fort Wayne Children’s Zoo, Science Central and the TinCaps; but what else is there to do? 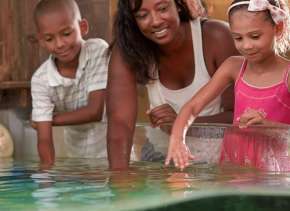 There are plenty of free or low cost options to keep the kids entertained (and hopefully give you a few minutes to relax and rejuvenate) this summer. Mondays and Thursdays: Free children’s movies at Rave Motion Pictures and $2 movies at Carmike Cinemas (which includes popcorn and drink). Movies start at 10am. Tuesdays: Check out the Allen County Public Library, Artlink, Cathedral Museum, Firefighters Museum, History Center and many others. 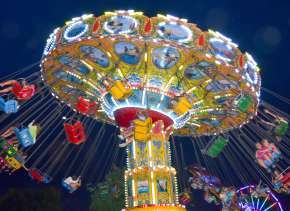 You could even make Tuesdays “field trip day” and go to a different attraction each week! 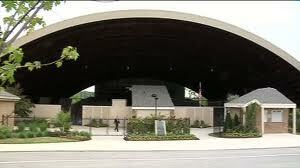 Wednesdays: Free movie night at the Foellinger Outdoor Theatre. Movies start at 8:30pm and are rated PG. Need a snack? Check out the concession stand which is sure to satisfy your cravings. 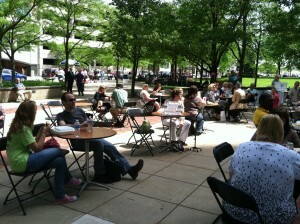 Thursdays: Lunch on the Square from 11:30am-1pm at One Summit Square with live entertainment. Pack your own lunch or stop by one of our downtown restaurants. Fridays: Friday Nites Live at Jefferson Pointe. From 6:30-8:30pm enjoy live entertainment while the kids cherish the balloon art, face painting and more from Sweetcakes Entertainment. Finish the night off with dessert at Culver’s or DeBrand. Saturdays: Rock the Plaza at the Main Library from 6pm-9pm. 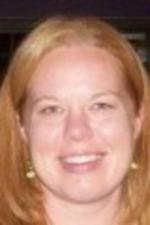 Dance the night away or take a blanket for a more relaxing evening. Grab a bite to eat before or after the show. If you are kid-free for the evening, check out Fort Wayne’s Nightlife scene! Sundays: Free admission to the Fort Wayne Museum of Art. Exhibits over the summer include Infinite Mirror: American Identity, Challenging the Figure: works by Loren Olson, Gwen Gutwein: Barns of Indiana, Outside the Circle: Indiana Woodturning and Step Gently Out. Looking for other suggestions? Give us a call at the Visitors Center: 1-800-767-7752. We&apos;d be happy to help!